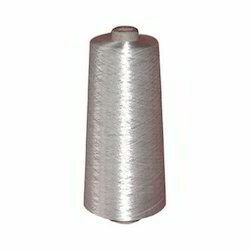 We are a leading Manufacturer of alumina silica yarn, carbon fibre yarn, fiberglass yarn, alumina silica fiber products, carbon fiber fabric and silica fabrics from Mumbai, India. 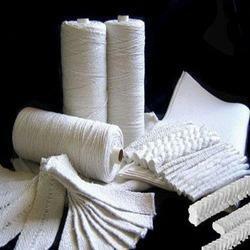 We are providing a wide array of superior quality Silica and Alumina Silca Yarn. The offered silica yarn is manufactured using optimum quality material in fulfillment with the market norms. Offered silica yarn is examined on different parameters of quality for dispatching a flawless range. 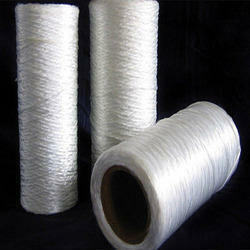 This silica yarn is available in various sizes to fulfill the several requirements of clients. Carbon tow; carbon fabric, chopped carbon fibers; milled carbon fibers, carbon veil; carbon powders; Carbon fibers are made by converting Polyacrylonitrile fibers under heat and pressure into high strength, high modulus carbon fibers. The carbon fibers contain high strength-to-weight and stiffness-to-weight ratios, carbon fabrics are thermally and electrically conductive and exhibit excellent fatigue resistance. When properly engineered, carbon fabric composites can achieve the strength and stiffness of metals at significant weight savings. Carbon fabrics are compatible with various resin systems including epoxy, polyester and vinyl ester resins. 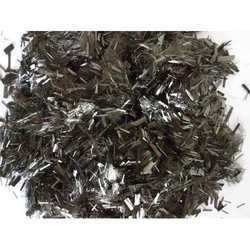 Carbon fibres inherently are high in tensile and flexural strength, tensile and flexural modulus, conductive, inert to most chemicals, light weight, and as such. With the experience we have gained in this domain remains our status as a leading wholesaler, supplier and trader of Fiberglass Yarn and Chopped Strand. Our offered fiberglass yarn is checked on various quality parameters in order to ensure its excellence. 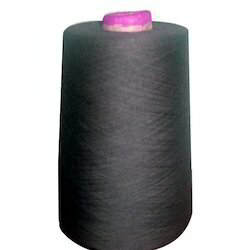 This fiberglass yarn is manufactured using optimum quality material and modern techniques keeping in mind the set norms of industry. In addition to this, offered fiberglass yarn is available in different specifications within a stipulated time period. Alumina Silica Fiber Yarn is composed of Al²O3(alumina) and SiO2(silica) which is available in combination of A/S=60/40,72/28 & 80/20. ALF Ceramic Fibers are refractory alumina-silica fibers with diameters 7-10 microns. A/S 60/40 can continuously withstand temperatures up to 1200 º C.
Carbon fiber fabric is made of carbon fiber by woven unidirectional, plain weaving or twill weaving style. The carbon fibers we use contain high strength-to-weight and stiffness-to-weight ratios, carbon fabrics are thermally and electrically conductive and exhibit excellent fatigue resistance. When properly engineered, carbon fabric composites can achieve the strength and stiffness of metals at significant weight savings. Carbon fabrics are compatible with various resin systems including epoxy, polyester and vinyl ester resins. flexible fabric designed for use where severe temperature conditions exist. It used for thermal insulating and heat protection. It will not burn, rot or deteriorate and resist most acids. and works at 1700℃ more than 15 seconds. Carbon Fiber Fabrics Chopped Strand is available in various lengths to give the optimum aspect ratio, coated with specifically formulated binders to give superior compatibility to various polymer or resin matrices. These are suitable for thermoplastic composites through extrusion, compression or injection processes or thermoset composites through BMC or SMC. The milled fibres can also be suitable for plastics and rubber based moulding items where thermo-conductivity, electrical conductivity, lightweight, mechanical strength, thermal and dimensional stability are important. The chopped strands are generally 6mm length for plastic compounding and between 3 and 108 mm for BMC and SMC process. The milled fibres are generally supplied with a mean size of 50 and 120 microns. Looking for Technical Textiles & Yarns ?